When I was a kid, I didn’t like history. Why talk about things that happened so long ago, I’d wonder. Who cares who was president in 1832 — he’s dead. Narrow-minded, self-focused teen, I didn’t understand that the president in 1832 (Andrew Jackson) gained that position because of the culture of the time or that his presidency impacted the those who came later. It didn’t help that my history teacher was more interested in hockey than history! My kids love history. What changed? Me! On our honeymoon, my husband and I explored Cades Cove‘s rural homes, churches and cemeteries and my love of history blossomed. We take our kids on historical explorations wherever we travel. For them, history doesn’t exist as black print on a white page. It’s three-dimensional, something to see, feel, touch and experience. We are fortunate to live in North Carolina, one of the original 13 colonies, because history happened here! The state has so many great historical sites it’s hard to narrow them down. For those of you not fortunate enough to live here, I made a list of my favorite sites in central North Carolina. These sites made the list because they let us experience an earlier time and/or because they are pivotal to our country’s story. Bentonville Battlefield (Four Oaks, NC). The last major Confederate Offensive, March 19-21, 1865, of the Civil War was fought here. The site also includes Harper House, a family home used as a Union field hospital during the war. Historic Yates Mill County Park (Raleigh, NC). This 174-acre wildlife refuge, provides experiences to interpret and preserve the region’s agricultural heritage and to appreciate history through educational programs, events and exhibits. 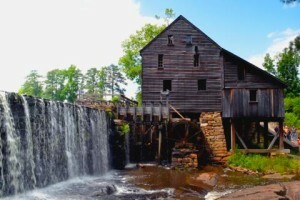 The park’s treasure is Yates Mill, an operable grain mill established in the 1750’s. The original equipment is still there to provide a glimpse into North Carolina’s rural history. Duke Homestead (Durham, NC). This “living museum” preserves the early home, factories and farm where Washington Duke’s tobacco empire started. Throughout the year, the site offers activities to demonstrate the heyday of tobacco farming. The Duke family was instrumental to making North Carolina the tobacco capital of the world. His success helped found nearby Duke University. House in the Horseshoe (Sanford, NC). This home, built in 1770, was the site of a Revolutionary War skirmish in 1781. Known as the Alston House, the walls still bear numerous scars and bullet holes from the event. Tell me that’s not cool! The site also includes exhibits of local Indian history, colonial crops, later owner Gov. Benjamin Williams, and North Carolina backcountry planters’ wives. Alamance Battleground (Burlington, NC). As the Carolina colony’s resentment against the British Crown’s taxes, corruption and illegal fees grew, these rural farmers organized and fought back. Though the colonists lost this 1771 battle, it became a model for all colonists in the Revolutionary War. The John Allen House (c. 1780) is preserved and furnished with period pieces at the site. The visitor center includes exhibits and a 25 minute audio-visual program about the battle and frontier life at the time. The outdoor trails onsite include monuments and markers to explore the battlefield. For those who want to explore North Carolina’s nearby coast too! Explore North Carolina’s Coastal History with a visit to these three sites. Ft. Fisher: Protected the Port of Wilmington throughout most of the Civil War allowing resources to reach Confederate forces. Battleship USS North Carolina (Wilmington, NC): The USS North Carolina served American troops in WWII. Step aboard to learn about life on the ship from the crew members who served here. Roanoke Island Festival Park. Head to the Outer Banks to explore this country’s first permanent settlement. The site includes live performances (see website for details), an interactive museum, the settlement site including live reenactments, an American Indian town and a ship representative of royal ships from the 1500’s. History comes alive here year round! With a rich history, North Carolina has more to see. Use these resources to plan your trip! Raleigh Heritage Trail. 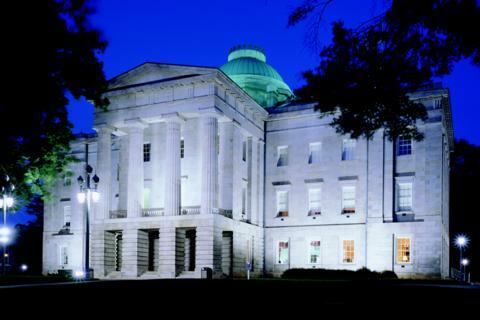 This site features 10 of Raleigh’s most important historical sites. To make history more fun, it includes a “passport.” Visit 6 of the 10 sites and get a prize! Johnston County CVB. Learn more about early rural North Carolina or the Civil War. Includes itineraries for self-guided driving tours and day trips! Visit Raleigh. This site includes a variety of itinerary options to visit historical sites, museums, historical markers and more in the Greater Raleigh area. North Carolina Museum of History. Of course, no historical visit would be complete without including the most complete history museum in the state. 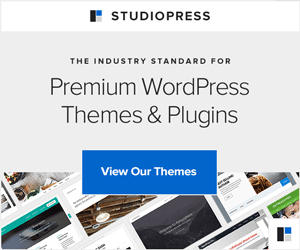 Researching this article, I discovered an amazing Christmas gift for one of my family members through the CVB site…. I can’t share exactly what it is, but I can say it will give this person an opportunity to experience their passion! How cool is that??? I had no idea such an opportunity existed. If you made a list, what would you include as a “must-see” historical site in North Carolina? Leave a comment here (I read each and every one!) or add to the discussion on Facebook. When my older three kids were almost grown, I received a trip to England from my employer. My husband and I went and toured and learned the history. I told my husband this is the way kids should learn history. Hands on! Well it was a few months later that I got a beautiful surprise. I was pregnant with my fourth child. My others were 18, 20, and 22. Well this baby gave me the opportunity to show him history He is now 18 and we have traveled to so many historical sites within the U.S. and we have made two trips to Europe. Recently he wanted me to work with him on our family history so we have been doing that too. I am visiting from Harvest of Friends. I am to say I have found a blog that I love. I am now following. Sorry about writing a book. I like history, and my daughter does too…would love to check out these site one day. It’s nice to read about the great attractions in other states. Thank you for the share. I am from Ky and I looooove NC! It is indeed a gorgeous state. This list is fantastic and has me itching to visit several of them. I never knew (until now :)) that the guy for which Duke is named was a tobacco farmer! My dad and grandfather grew tobacco for many years. On a side note, we frequent Cades Cove every year. We love the old buildings and being able to get so close to the wild life, namely deer. That’s wonderful that you make history come alive for your kids! I hated history too, having been forced to read long, monotonous chapters, and memorize dates while in school. I homeschool my own kids, and get them out to see and feel their history as well. We are all learning together and loving it! If we ever get out that way, I hope to see some of these sights. Thank you for sharing!